David Dalby has a diverse trial and litigation practice representing attorneys and other professionals, business entities and private employers, including financial institutions, non-profit corporations, securities firms, associations and insurers. Mr. Dalby has prosecuted and defended law suits in both state and federal court concerning consumer and class action litigation, employment and disability discrimination, wrongful termination, wage and hour claims, professional liability, personal injury, bankruptcy, insurance and contract disputes. He also serves as counsel to private employers concerning human resource risk management issues. 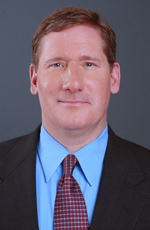 Mr. Dalby joined Hinshaw & Culbertson LLP in January 1998. He is a past member of the Board of Governors of the Lawyers' Club of San Francisco 1996 to 2001 and was the Chair of the Club's Continuing Legal Education Committee. During his graduate studies at Fordham University, Mr. Dalby was a Loyola Fellow and also a Robert Boone Stewart Memorial Fellow. Bugna v. Fike (2000) 80 Cal.App.4th 229; 95 Cal.Rptr.2d 161. Winding Creek v. McGlashen (1996) 44 Cal.App.4th 933; 52 Cal.Rptr.2d 236. Holden v. Hagopian (9th Cir. 1992) 978 F.2d 1115. "Employment Leaves," California Assisted Living Association Summer Trade Show and Conference, San Jose, California, June 2007. "Recent Professional Liability Insurance Coverage Case Developments," presenter, Mid-Year Meeting of the Association of Professional Responsibility Lawyers (ARPL), San Antonio Texas, February 2004. "California State Auto. Assn. v. Parichan: Transactional Legal Malpractice," panelist, Association of Defense Counsel of Northern California & Nevada, August 2001. "Recent Developments In Lawyers' Professional Liability," presenter, The Lawyers' Club of San Francisco, September 1999. "Vicarious Liability and Limited Liability Partnerships—Minimizing Personal Exposure For The Errors Of Others," presenter, The Lawyers' Club of San Francisco, May 1996. "How Not To Get Sued For What Someone Else Didn't Do: Malpractice and Ethical Problems Arising When Lawyers Practice Together," panelist, Contra Costa County Bar Association, M.C.L.E. Spectacular, November 1995. "Responding To Discovery," presenter, Long & Levit M.C.L.E., April 1995. "Attacking The Pleadings," presenter, Long & Levit, M.C.L.E., October 1991. "California's New Law for Debt Buyers," co-author, MAPbulletin, ACA International, January 2014. "Insurers Beware: Implied Waiver of Defective Notice in Claims Made and Reported Professional Liability Policies," Legal Ledger, Vol. 7, No. 2, 1996, reprinted as "Warning: Some Professional Liability Policies Leave Unwary Insurers on the Hook," Insurance Journal, November 11, 1996. "Conflicts Checklist," Legal Ledger, Vol.1, No. 4, Spring 1990. "Avoiding Vicarious Disqualification: An Ethical Barrier," Legal Malpractice Report, Vol. 1, No. 4. "Facing The Inevitable: Do's And Don'ts For The Legal Malpractice Defendant," Legal Malpractice Report, Vol. 3, No. 1, 1991. "Corporate Directors and Officers Liability, Insurance and Risk Management," Co-author, The Attorney-Client Privilege, Executive Enterprises Publications Co., Inc., 1989.